We asked productivity experts which popular advice is actually doing you more harm than good, and what you should do instead. There is no shortage of advice that is meant to help you get more done in less time. But is it all helpful? Being productive while building a startup business, for example, looks significantly different than being productive while writing a novel. When we get too focused on productivity as a concept, we often forget what we were trying to accomplish in the first place. You don’t set priorities, you have them, says David Allen, author of Getting Things Done: The Art of Stress-Free Productivity. “Clear the air so you can recognize them,” he says. Be open to your own intuition and its directions–then take the risk to move on your best guess, pay attention to the results, and course-correct as you keep moving along, he says. This is terrible timing, says Julie Morgenstern, author of Never Check Email in the Morning. “If you’re waiting until the morning of to organize your day, it’s too late; the day is already crashing down upon you,” she says. If you’re waiting until the morning of to organize your day, it’s too late; the day is already crashing down upon you. Instead, end your day by looking at tomorrow’s to-do list and schedule. If there’s anything that is no longer relevant or possible, you’ll have time to cancel or reschedule it. Working for a specific amount of time, such as an hour or 90 minutes, and taking regular scheduled breaks is advice you should ignore, says Peter Bregman, author of Four Seconds: All the Time You Need to Stop Counter-Productive Habits and Get the Results You Want. Don’t force or delay a break if it doesn’t feel natural. Gauge the amount of work you do on your focus and drive. Just because you can handle a task right away, doesn’t mean you always should, says Carson Tate, author of Work Simply: Embracing the Power of Your Personal Productivity Style. 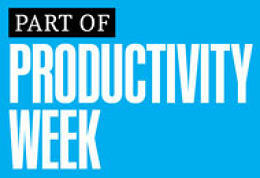 The trick is to notice in yourself when you regularly feel most productive. Allcott says his proactive attention is at its strongest in the mornings, and he spends that time working from home. “I call that my ‘create time,’” he says. Organizers often say you should never touch a piece of a paper more than once, but this is impossible, says Lisa Zaslow, founder of Gotham Organizers, a New York City-based professional organizing firm. Instead of reading, tossing, or filing mail, for example, let it stack up until you have appropriate time and energy. “If unexpected things come up and I can’t follow up with someone I met at a networking event, I’ll toss their business card into another day’s file in my tickler system,” she says.